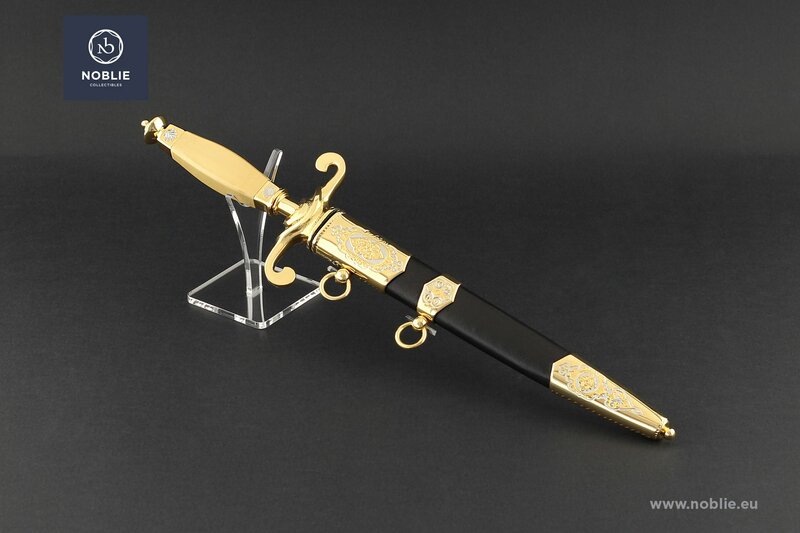 Produced by traditional methods of metalwork and decoration: etching, polishing, engraving, nickel plating, gold plating, fretwork, leather processing. 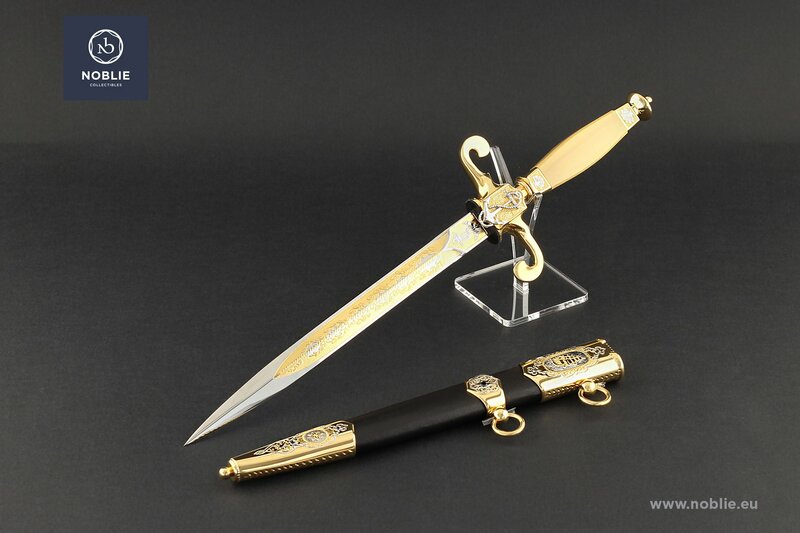 Blade of stainless steel 440C with engraved and gilded ornamental decoration on both sides. 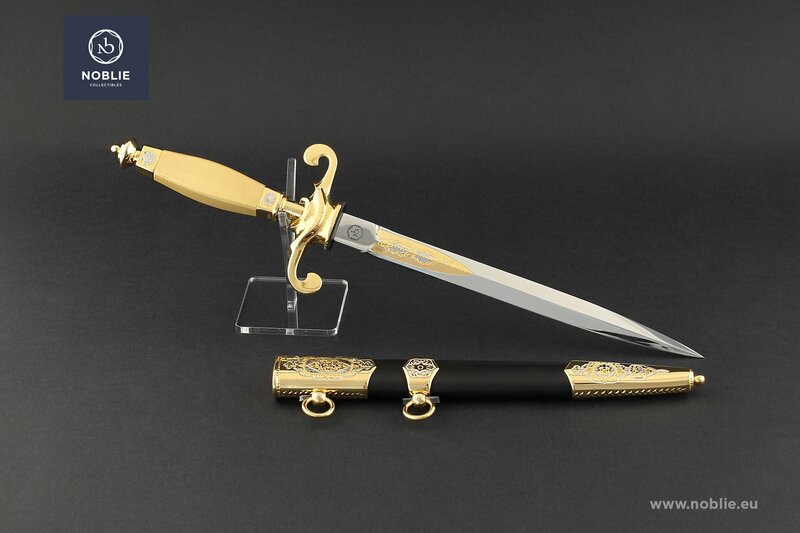 Handle, finely elaborated of assembled metal and wooden parts. A complex guard, brass made and then gilded, with two opposite curved, ear ending quillions. A large plate with cast anchor embedded on one side. Decorative ornaments on the opposite side of the guard. Brass made and then guilded dome shaped pommel wih ball ending. 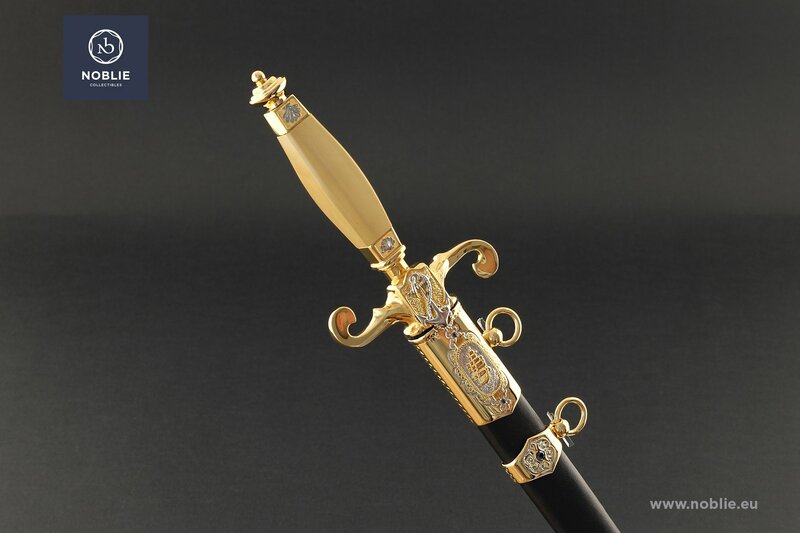 Grip of boxwood with two gilded elements on both ends with small lotus flower embedded. 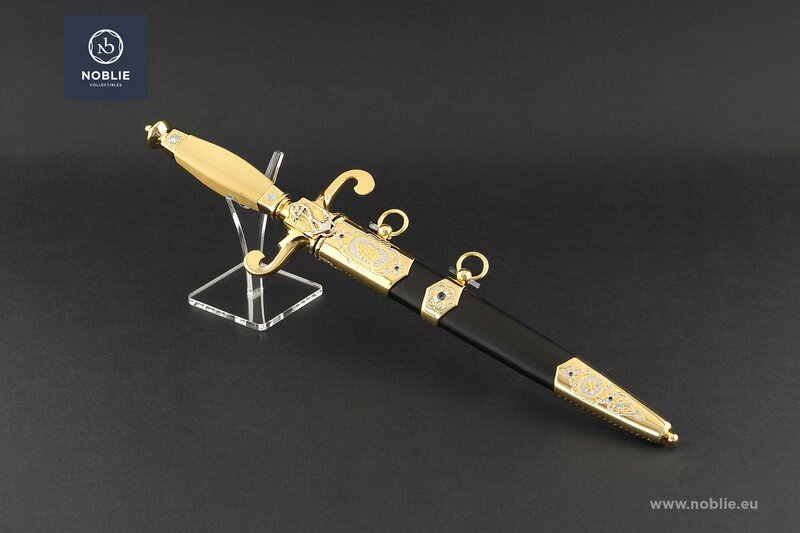 The scabbard is metal forged, wrapped black leather. Three brass made and gilded metal elements on it. A mouthpiece with double sided engraved lockets and hanger ring embedded. A battleship depicted on one side and two gems inlaid. Floral engravings on the opposite side. Decorative ring, situated in the middle of the scabbard with hexagonal plate, floral engravings inside and gem inlaid. Hanger ring fastened on it. 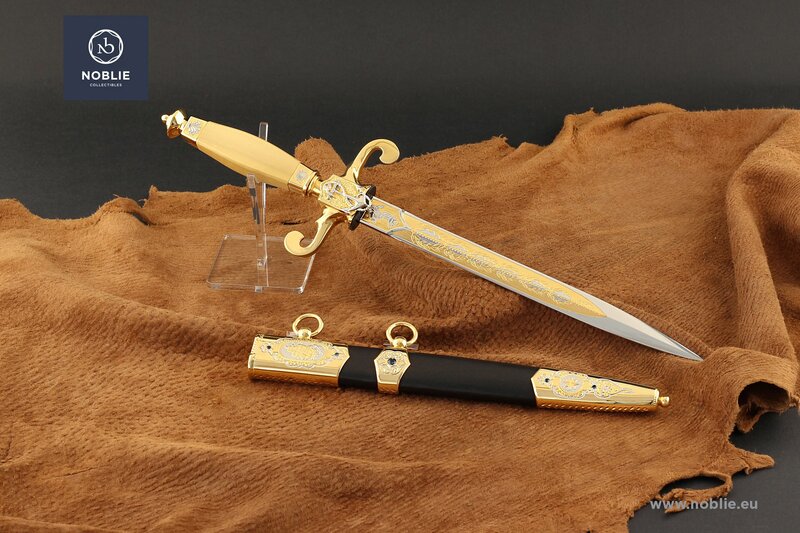 The scabbard ends with decorative chape and ball finishing. Star and floral engravings on both sides. Two small gems inlaid on one side.